I’ve been in super-top secret meetings all morning. 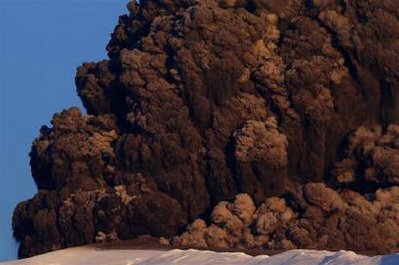 But now that I’m back, a few words about the Icelandic volcano that is wreaking havoc on airlines across Europe. Yes, Eyjafjallajokull isn’t only hard to pronounce, but it would be a nightmare on “Wheel of Fortune.” Vanna would finally have to work hard. And as much money as you made from consonants, you’d spend it all buying vowels. But that’s not my comment. My thoughts have to do with how G-d works in mysterious ways. If you’re an atheist, you’ll chalk this up to coincidence. But I find it interesting that tomorrow, April 20th, is both Hitler’s birthday (and the neo-Nazis are already celebrating) and Israel’s 62nd birthday (and the enemies of Israel–including Jewish ones–are already burning the flag). (In Hebrew, it’s known as “Yom Ha’Atzmaut,” or Independence Day and is celebrated tomorrow, instead of May 14th, because Israel celebrates on its Hebrew birthday.) Both a man with whom most of the Islamic world is in love and loves to honor (his “Mein Kampf” remains a consistent best-seller in the Islamic world and there’s that little detail of his relationship with the Grand Mufti of Jerusalem); and a country whose establishment Muslims despise (they call is “nakba” or disaster). The Muslims and other anti-Semites hate that despite Hitler’s plan to erase Jews from the face of the earth, the Jewish State of Israel turns 62 tomorrow, while Hitler can’t celebrate his, having been worm excrement long ago. And this makes some people mad. You know who they are. Given this aligning of the stars as it were, tomorrow is an ideal day for an Islamic terrorist act, especially a hijacking. And since most of the planes are grounded in Europe given the ash, that eliminates a lot of potential opportunity. Sadly, a number of countries are set to open the skies to aircraft, tomorrow. Like I said, G-d works in mysterious ways. Let’s hope the ash from Eyjafjallajokull is still prophylactic of the plans we know so many Muslims wish to carry out . . . especially tomorrow. Its just a random act of nature, one that has happened before. Uh oh, am I going back on double secret probation yet again? Thanks for the post. Yep, most will claim it just coincidence, but I, too, think it’s possible the volcano ash ins’t a coincidence since God acts in mysterious ways, indeed. God does indeed have a sense of humor with Hitler’s birthday and Israel’s birthday being the same! Rumor has it they want to throw Al Gore in the volcano to appease the gods! Actually, Israel’s birthday IS today but if you’re thinking why tomorrow – the reason is to respect the Sabbath – the same reason July 4th is moved forward a day in the United States if it falls on a Sunday. That’s why Israelis will celebrate the birthday the next day so that Memorial Day would not begin on Saturday night to avoid Sabbath Day-related problems. But the coincidence with Hitler’s birthday is worth noting all the same. Iyar 5 IS Independence Day. They changed the law in Israel a few years ago to address Sabbath-related problems that would result from beginning Yom Hazikaron on Saturday night this year. So that was moved up one night and so was Yom Haatzmaut. Like I said if people wonder why its celebrated this year on Iyar 6 instead of on Iyar 5 as is the usual custom, that is why the accommodation was made. NOTHING is a coincidence, Nak. Your statement that most of the Muslim world “loves” and “loves to honor” Hitler is pure nonsense. It just shows how stupid your readers are that they would believe such a ridiculous claim. Mein Kampf is a perennial best seller in the Arab World. Both the PA and Islamists use the Nazi salute. The Arab media is saturated with both anti-Semitic and anti-Israel imagery and vitriol. When I was a young man in college, I used to peruse the Saudi english Arab News there and it was filled with cartoons portraying Jews and Israel right out of Der Sturmer. The hatred of Jews in the Arab world is deep, widespread and mainstream. Those are the facts. As Debbie would say, RIF. Wake the heck up! And it usually means people approve of the values in those books. As well as like the personalities involved. And here Zigo won’t take the evidence at face value because he thinks we’re all fanatical idiots. There’s no use arguing with someone with a closed mind. Mein Kampf IS popular in the Muslim world, zigo, the poorly informed and eager to display it. What did you think was going on in the world today – a checker tournament? (Sheesh, I thought event he smallest child would know such a simple fact). So many ignorant out there…..
Kenneth Levin has written about how pervasive genocidal views about Israel are throughout the Arab World. And this has been dismissed for a long time. I think he makes a good case that is the cart before the horse. You can’t seriously expect peace to last between Israel and the Arabs as long the Arabs are brainwashed to hate the Jews and to do all they can to bring about Israel’s destruction. That is dwelling in fantasyland. But there many people who avert their eyes to the reality of the Middle East. Much easier to think about ceremonies, handshakes and smiles and not to deal at all with why the politics there will never be that of Europe or America. It is simply not in the Arab Muslim mind to accept the lowly Jews as anything less than subservient dhimmis. And there is the fact that any truly moderate Arab leader who sought to make real peace with Israel would be killed. To blame the absence of peace on Israel is to overlook why the Arabs are incapable of making peace with the Jewish State today. First of all, saying that Mein Kampf sells wel in the Arab world is completely different from saying most Muslims love and honor Hitler. Secondly, none of you have shown any evidence or citations that Muslims love Hitler or even that Mein Kampf is a big seller in Arab countries. So your words don’t mean crap unless you can back it up with facts. zigo – I’ve got a history question for you. Did the muslims work with the nazis during WWll? The love of things Nazi is very real in the Muslim as well as in the Arab World. Debbie, that exactly to what I was referring. And some people just don’t want – or don’t care to see the truth in front of them. So every natural disaster is the work of god if it appears to benefit someone? So who did Katrina benefit? The tsunami a couple of years back, mount Vesuvius and Pompeii. You think it was gods work because you look for it. Your distorting the facts to suit a theory instead of a theory to suit the facts. I remember the Alaska incident Ari sent Debbie very well. I was on my way from Detroit to South Korea on Northwest, and shortly after take off the pilots decided they burned so much fuel we needed to refuel in Anchorage. On the way to Anchorage they told us about the Volcano and diverted us to Fairbanks. Fairbanks was not going to work out either so we few around until they decided the air around Anchorage was clear so we landed there to refuel. On the ground they told us about what happened to the KLM flight. In point of fact, both Mein Kampf and “Protocols of the Learned Elders of Zion” are perennial best sellers in the Arab world, and even in “secular” Muslim countries like Turkey. They also are easy to find in Arab/Muslim bookstores in Europe. There’s always a danger in trying to see a natural or even unnatural disaster as Divine punishment for some transgression or other. Religious leaders from probably every faith have succumbed to the temptation at one time or another. One presumes that if the Almighty wanted to send us a “message”, He could do it without the ambiguity. Apparently the archives at the US embassy in Cairo have been opened (the Americans during WWII monitored, for three years, the Nazi shortwave radio broadcasts — the nazi broadcasts were from Berlin and spoken in Arabic, directed to the Arabs of Egypt and the larger Middle East). This has now been detailed in the text, “Nazi propaganda for the Arab World” by Jeffrey Herf. Thus, as Herf argues, the Nazi influence on modern-day Islamism is unmistakable and very clear/evident. There’s also an article (a book review) in Commentary, April 2010. That statement just shows you how ignorant and stupid you really are. The Muslims? Who are “the muslims”? The mere fact that you lump everybody in an entire religion together just shows you are a brain dead maniac. There were hundreds of millions of Muslims back then, and while some of them supported Hitler, that doesn’t say anything about Islam or Muslims today. Lots of Christians, including the Pope, worked with Nazis in World War II, that doesn’t mean that Christians today agree with him or that Christianity is fundamentally anti-Semitic. Furthermore, World War II was a WORLD WAR between the Axis and Allied Powers, which means that every country had to take sides based on who they thought they would win. That doesn’t necessarily mean that they supported Hitler or even liked him; they were just trying to save their country from being destroyed; that’s why even Stalin signed a pact with Hitler; he wanted to keep Hitler from attacking him, which didn’t even work. Oh, and I also like how Sclussel tries to prove me wrong by pointing out ONE PICTURE showing TWO MUSLIM WOMEN with a Hitler sign. Deb, I am not one of your sheeple followers who think that something that 2 people do represents a religion of 1.3 billion people. There are thousands of neo-Nazis in America; I don’t think that all Americans or Christians are neo-Nazis. You have to be really really dumb to believe this crap. Also, none of your produced any citations that “most Muslims love Hitler,” thus proving you are all full of crap. Zigo apparently hasn’t woken up – this how they think. The jihad is indeed here and around the world. Oh, and J.S., the Nazis broadcast propaganda to every country in the world, including the U.S. and England; Nazi Germany even had paid fascist agents in America. The fact that the Nazis broadcast propaganda into Muslim countries in no ways proves that Muslims believed that crap. It is tedious having to answer anti-Semities, who by their very nature are forced to deny and distort history. Along with their totalitarian friends (and of course there is a significant overlap) they make up things as they go, and deny the authenticity of the existing documentation. Zigo is, of course hopeless, but for others, there are several recent books, among them Jeffrey Herf’s Propaganda for the Arab World and David G. Dalin’s Icon of Evil. Dalin’s should be in a number of public libraries, and Herf’s if not accessible in the local public library can easily be obtained by interlibrary loan. Both are also obtainable on Amazon for less than $20 and exhaustively document the things that Debbie is talking about. Sorry, I had overlooked that a prior post had already referred to the Herf book. Incidentally he had published a previous book explaining and massively documenting how, among other things, the Communist East Germans also soft-pedalled the Nazis. Hey Little Al, cite me the page number in EITHER OF THOSE BOOKS that says that TODAY, most Muslims LOVE AND ADMIRE HITLER. I was taking exception with a very specific thing Debbie said, and nobody here has been able to prove that point. I know all about the Mufti (who was appointed by the British, by the way), Nazi propaganda, etc… But show me evidence that most Muslims today love and honor Hitler. You can’t so you FAIL. Zigo apparently doesn’t get that Mein Kampf and Nazi propaganda are popular in the Arab World. This is evidence of how much they love and admire Nazi doctrine towards the Jews today. But then an Islamist apologist will seek to controvert the burden of proof. Nice try but no cigar for Zigo! Hey NormanF, I’m not just going to accept what you say. In the real world you can’t just say things; you have to back them up with facts!! At least Debbie tried to back up her assertion with a picture of two Muslim women with a Hitler sign. That was more of an effort than you or most of the fanatical idiots on this board made. if Hitler was so popular in the Arab world, you could PROVIDE SOME EVIDENCE. But apparently you can’t. So you = wrong. I am uncomfortable in general with the methodology of cherry-picking passages from a book, because, particularly in a complex book, that methodology can oversimplify complex arguments the author is making. Having said that, however, and acknowledging that this paragraph oversimplifies Dr. Herf’s arguments, Chapter 8, beginning on p. 233 is entitled “Postwar Aftereffects.” This chapter contains massive documentation based on both English and German, as well as some Arabic primary sources. Herf discusses how the pro-Hitler Muslim extremism affected the Egyptian government, a destabilization that exists to this day. (e.g. p. 241) In following pages, e.g. p. 242 he traces the continuity of this influence to the Muslim Brotherhood, which is generally accepted to have massive influence in Egypt today, as well as internationally. In following pages, Herf discusses how the Nazi tradition helped fuel Arab fanaticism against Israel, which, of course, also exists to this day. On p. 249, for instance, Herf explains how the Egyptian embassy, in 1948 sent the United States Government an article from Al Ikhwan Al Muslimin about ” the Jew and Communism” with typical anti-Semitic slanders. I am not going to go through the entire chapter, but these are examples. The Muslim collaboration with Hitler was also, arguably a factor in preventing the Western European governments from providing more support to Israel than they did, fearing a massive Muslim uprising, fueled in part by Nazi traditions. This of course, helped establish a tone that exists through today. Usually when a book is a best-seller it means that people like it. President Obama’s book is a best seller in the US today; Sarah Palin and Glenn Beck have best sellers, and without doubt, most of the people buying their books admire them. This is the way things are. In addition to this, Britain’s advertising watchdog issued a recent decision that ThinkIsrael could not run an ad in Britain that encouraged travel to Israel and showed a picture of the Western Wall. The reason? The ad was misleading because it implied that the Western Wall was part of Israel. That decision was reported by the BBC on April 14. The volcano began erupting after this hit the press. Now that you mention it, I don’t believe it was a coincidence at all. Nothing in the world happens by chance, blind fate or mere happenstance. G-d is involved in everything that happens. So you trash Israel and a volcano blows up a few thousand miles away spewing a load of ash in your direction, shutting down airports in your country for days. I’m inclined to see the Divine Hand behind the apparent chaos of things. If there’s a lesson I’d like to think was taught, it might be: mess around with Israel to your peril. We dare not cross G-d lightly lest we suffer the consequences of our contempt for Him and His people. Bush 41 was at Madrid pressuring Israel to give up land. What happened while he was there? The Perfect Storm hit his house and cause about $1 million in damage. In 2005, we pressured Israel to evacuate Gaza which they did. What happened? A little thing called Katrina caused the most massive evacuation in U.S. history just a day or two later. Zigo, are you really that thick?! “even Stalin”? !…you make him out to be some kind of saint. The man was just as cruel and murderous as that weasel Hitler. He even left his own son to die in a concentration camp after being captured by the Germans. In his own words: “there are no prisoners of war, only traitors”. Stalin was just as hellbent on taking over the world as Hitler with one major difference; Stalin actually succeeded. Hey, I read the Herf book, and it is about propaganda efforts in the immediate postwar period by Nazis and their fellow travelers. 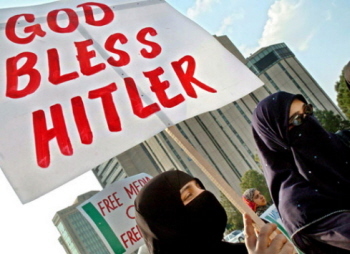 What it doesn’t prove, and what none of you can prove, is that TODAY, MOST MUSLIMS LOVE AND ADMIRE HITLER. 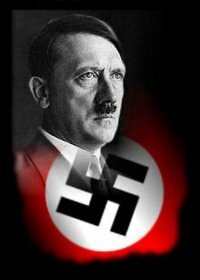 If Nazism influenced the Muslim Brotherhood in the 50’s or there were influential Nazis in Muslim governments, that still doesn’t prove that DS made that TODAY, MOST MUSLIMS LOVE AND ADMIRE HITLER. That’s a big claim that none of you can claim because it is FALSE. Even if you can prove that most Pakistanis and Egyptians love Hitler (which you can’t), you still have to prove that hundreds of millions of Muslims in other parts of the world love him. And theShadow, you are stupid too. My point about Stalin wasn’t to defend him, my point was to say that even Hitler’s arch-enemies (and no matter how much you hate Stalin, you have to admit that he was Hitler’s enemy) made deals with Hitler to save themselves. So the fact that a Muslim government may have made deals with Hitler in the 40s doesn’t say anything about what modern day Muslims believe. You guys have to pull your hate-filled heads out of the sands and look at the objective facts rather than just believing any stupid nonsense that DS spouts. I bet if DS told you that most Muslims believed in unicorns you would believe her. Z: I’ve written plenty on the Nazi-Muslim connection–the two Muslim SS divisions, the Grand Mufti of Jerusalem and his buddy Hitler, and the ODESSA (SS alumni group) working with Egypt to develop nukes and poisonous chemical weapons against Israel after the war. Egypt and Syria was where many of them lived, converted to Islam, and died. Aribert Heim and Alois Brunner are just two of the many. So sad you cannot face facts. I’ve had enough of your trolling, so you are banned. However, if I told you Muslims went to the bathroom and urinated and defecated, you’d express disbelief and tell me that they have this magical ability to instead fart Dior J’Adore perfume as their exhaust. The rest of us know better. I suppose in Zigo’s world, we have to prove Muslims didn’t cheer on the 9/11 terror attack. And he calls us fanatical idiots! I know about 2,000 moslems in a certain US state who HATE Jews and who talk about the “good old days” in Kosovo during WWII when their fathers formed a division of SS troops to serve their NAZI LEADER HITLER. They even bragged about the goose stepping troops of the KLA and how that was “FROM HITLER”! They liked to strike a nazi salute. When it came time to find temporary housing for the clan groups, they wanted NO HOUSING NEAR JEWS OR BLACKS!! THEY THREATENED VIOLENCE IF PLACED WITH “INFERIOR BLACKS AND JEWS”, AS THEY CALLED THEM. Oh, and haven’t you ever seen the pictures of the thousands of Fakestinians with their heads wrapped in green cloth giving the hitler straight arm salute…. they have to use the straight arm because they all have erectile dysfunction and the arm is the only thing that ever sticks out straight on their bodies! Now take that insult to heart ’cause it is aimed at YOU too! Now you just have a BAD life, OK! S: We do not link to that site–which removed all links to my site and served as an apologist and liar for Sean Hannity’s fraud–or that fraud, Scamela–who engaged in car loan fraud using Muslim straw buyers, which resulted in the assassination of her only employee who was informing police on her fraud, and the killing of a cop–on this site. Sorry. I’ve written plenty about this with pictures. So sad you couldn’t bring yourself to link to the ones on THIS site. Helloooooo . . . ? I had no idea about that other site, must have missed it somehow.. I knew about “vannity” and have not ever been a fan of his or “Oh-reilies”. Sorry gal! I am so glad that you have the links for the info on the Mufti. Hey I have known about him for years. My Serbian friends told me about him and Kurt Waldheim back in the mid-1990s. Those two were responsible for the murders of Serbs, Jews and Romas… if not directly in some cases, THEY WERE STILL CUPABLE!! May they continue to burn in H! Some commentators mentioned that the fact that “Mein Kampf” sells well in the Arab world proves nothing. I beg your pardon, but it certainly does prove something. You ever try to read “Mein Kampf”? It’s BOOOOOOORING. I mean really, really boring. Even dedicated Nazis had trouble staying awake trying to read that crap. Mussolini called the book a “brick.” So, if people are buying it, they’re not buying it for entertainment. Frankly, they’re not buying it to learn history, as you can learn history better in other places and other ways. Nope, they’re buying it because it’s a sort of German Koran. Ari’s point is Arabs buy Mein Kampf because its author hated the Jews as much as they do. They certainly don’t buy it because they like Germany – its a book that validates their own anti-Semitism and feeds into their genocidal fantasies of what they would like to do to the Jews. zigo, I am yet to meet a mozlum in India or America who is NOT a fan of adolf hitler. The sole reason for many of them to admire this animal is that he eliminated millions of them. If you find that so hard to comprehend, go back to the dung hole from where you came out. No matter how much your liberal anti-semetic mind denys it, the truth is out there for those with eyes to see. Face it Zigo, try as hard as you can, it’s not possible to pick up a turd by the clean end. I’m glad Debbie banned him… I’m all for a civilized debate but there’s no use convincing a troll. Sometimes you do have to kick posters off a site whose only intent is to create a flame war. And trolls really contribute nothing intelligent to a discussion. 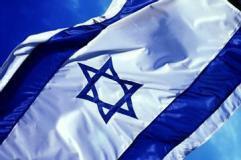 Happy 62nd Birthday, Israel. May there be many more! The Nazis used anti-Semitism only to define the Jews. In the eyes of the SS, the Muslims and Arabs were “good” Aryans. In fact, both Hitler and Himmler admired the Koran for its martial virtues and the Arabs as a race of warriors. So no – in the event Germany had won the war, the Arabs would have been truly Nazified under the Reich. The one thing we can be sure of is they would not have met the fate of the Jews. Very interesting thought, Debbie. Sometimes God protects us in ways we will never know or understand (or appreciate).